Welcome to 77 Davisville. 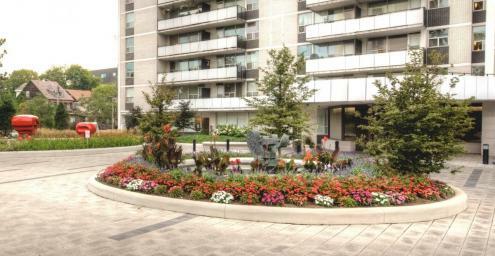 Located at Yonge and Davisville, this building offers spacious, well maintained apartments with generous closet space. Always freshly painted, the apartments feature parquet flooring, and appliances are included. The building amenities include a roof top pool and lounge area, sauna and indoor bicycle room. Award winning landscaping provides a park-like setting for residents to enjoy.